The premier online resource for children’s health information, including sections for parents, kids and teens. Información en español. Comprehensive information for parents on children’s health from prenatal until adulthood, covering diseases, staying healthy, mental and social concerns, school problems, and safety, from the American Academy of Pediatrics. Reliable, useful information on health topics for girls ages 10 to 16 from the U.S. Department of Health and Human Services’ Office on Women’s Health. Trustworthy information on teen health topics from the National Library of Medicine. 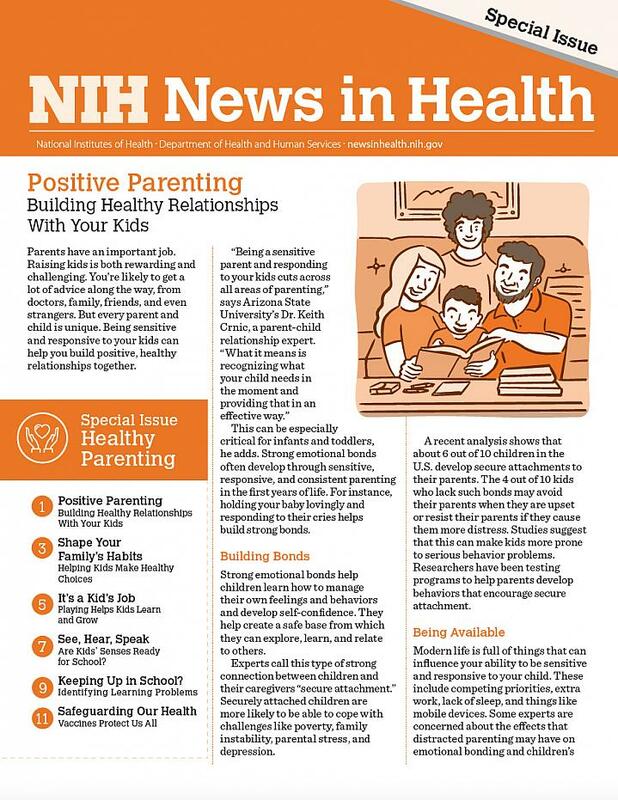 A printable guide for parents, caregivers and teachers from the U.S. Department of Health and Human Services. Strategies for discussing today's headlines – from war, violence and terrorists to the latest storm. Learn how to calm kids' fears.